We're staying at William M. Tugman State Park for UTV takeover and just plan on trailering to one of the staging areas in the morning. All of the campgrounds with dunes access were already sold out. It will probably be worth the hassle trailering as we can get out of the chaos this way. There's a guy in McMinnville that is always selling new Bighorn take offs on Craigslist... Might be worth a call. Will definitely have to look into that park. My enclosed trailer is my home away from home for camping. 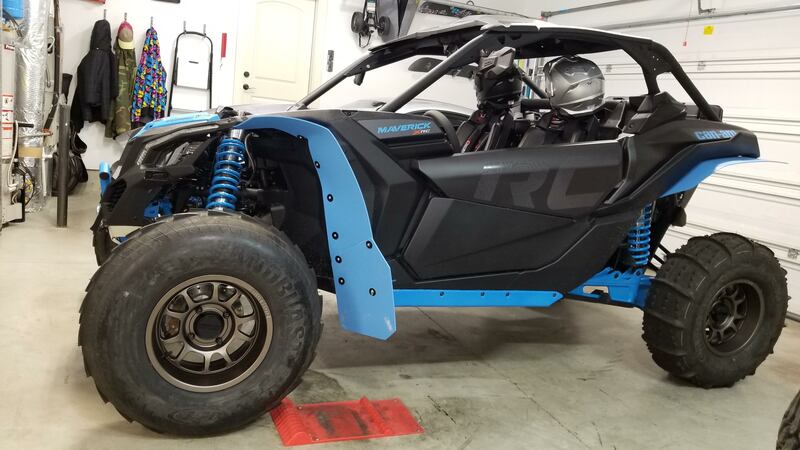 Might have to find someone that wouldn't mind me piggy backing off of to transport my XRC. My advice, run some aired down bighorns. See how you like it. Put the money towards paying off the machine. Once its all paid off, then look into sand tires, that is if you go often and its justified. You may say forget it and like the bighorns. To add to that first question. Are beard locks need on paddles? At KJ Motorsports there is only a $100 diff on the low end rims. Thanks for all the advice I was about to ask the same Q's. Some guys swear by beadlocks, some swear at beadlocks. They add a little weight, but you are more likely not to blow a tire off the wheel if you use them. Bottom line is, it's your car. How do you feel about them? Either way, there will be somebody that will tell you that you made a mistake, LOL. I run them, wouldn't run without them, but that's me. kevin retread and BLR like this. Here's how it turned out. As soon as this flooding stops we'll see how it performs. fbilly420 and Rocky Crawlboa like this. What is the most current recommendation for sand tire setup? 2014 maverick max exhaust recommendation please ? ?